features narrow-band roofing filters on the main receiver in a full down-conversion configuration. 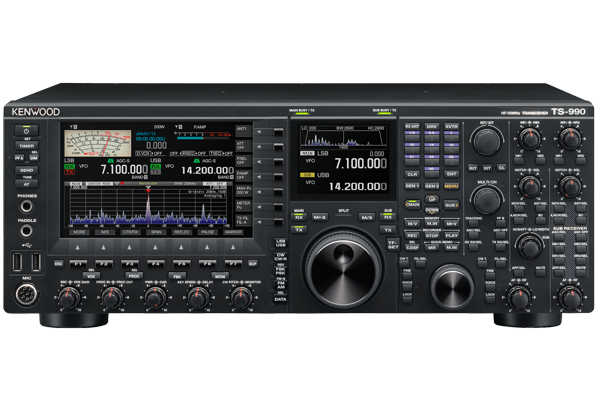 The TS-990S achieves the highest basic reception performance of any radio in the TS series, through the careful selection of circuits, components and accelerating analysis using triple DSP configuration. The Trio tone has evolved into Kenwood tone. Also, thanks to the dual TFT display and superior panel layout, it achieves both comfortable visibility and operability. Our top-of-the-line transceiver is for all radio operators who love HF. 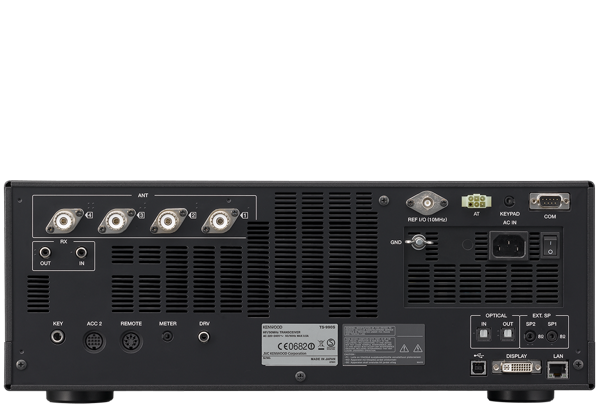 The TS-990S has the overwhelmingly highest quality receiver among the TS series. The dual receivers facilitate reception on different bands. The main receiver is the highest quality receiver among the TS-900 series, thanks to its down-conversion configuration, newly developed mixer, and five types of roofing filters. The highest quality transceiver shows its true metal in contests, fierce pile-ups and high-intensity signals. 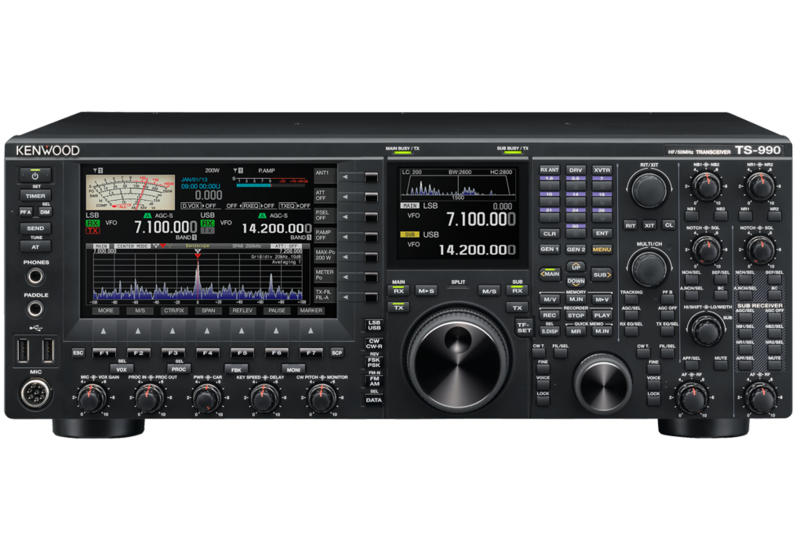 The TS-990S will surely satisfy any real DX’er. Super sub, which supports simultaneous dual reception. Two attractive features of simultaneous dual reception for different bands are that you can easily change the condx on other bands and easily handle split-operation. From this single device a whole new array of strategies becomes possible. Innovation spurred by digital technology has revolutionized the Kenwood tone. Even after using narrow bandwidth filters for long periods of time, it is still easy to hear and less tiring to listen to. In addition to introducing AGC control using dedicated DSP, we have further refined the Kenwood tone and reception sound quality transmitted by radio operators worldwide by innovating the analogue AGC unit and installing numerous interference and noise elimination functions. Such innovations have given new life to Kenwood’s legendary tone. Transmitter performance, featuring high-scale specifi cations, can withstand long periods of operation at full power. Operating stably even when continually working over long periods of time, such as in competitions. Fitted with dual TFT displays for an intuitive situational understanding. The combination of two displays, main and sub band, allows you to simultaneously monitor the target signal and the surrounding area with minimal eye movement. Comfortable operational performance that you can control at will. The panel layout, familiar to Kenwood users, allows for intuitive operation. It is sure to win you over, increasing the accuracy of your operations and allowing you to develop greater familiarity with the equipment.